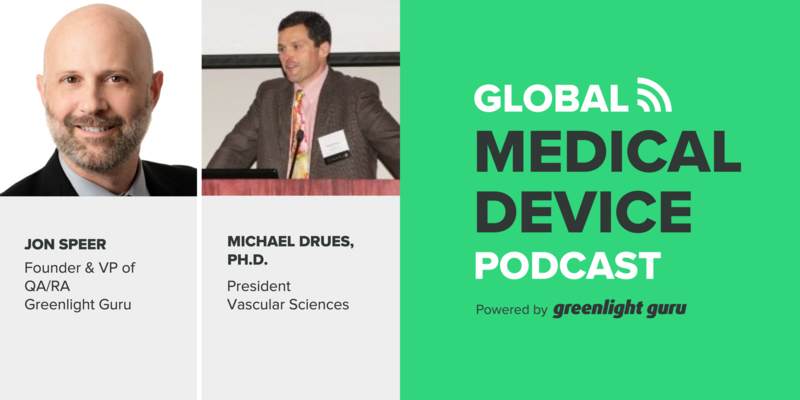 Today’s guest is Mike Drues, the president of Vascular Sciences and a world-renowned expert on all things pertaining to regulatory topics in medical device development and production. Mike is a frequent guest, so I’m sure you’ve heard them talk about various regulatory and design topics in the past. Today they are actually going to be giving you a sneak-peek of subjects that both Jon Speer and Mike Drues will be talking about live at MD&M East in New York on June 14. They'll be talking about when design inputs go wrong, as well as designing your labeling like you design your device. What design inputs are and why they are important. Who comes up with the design inputs and why it’s a mistake to rely only on the technical people to create the elements of the device. Why it might be inaccurate to say that a clinician knows exactly what they need in terms of a device design, as well as why it’s vital to ask the right questions of clinicians. The importance of thinking ahead to the verification and validation processes during your design process. Why companies need to spend more time designing their labeling. What labels need to include and why it’s so important to carefully consider everything that goes on it when you create your design. Using caution when determining what the FDA says about advertising off-label uses of a product and how a mistake in this area could end up involving the FBI in addition to the FDA. Announcer: Welcome to the Global Medical Device podcast where today's brightest minds in the medical device industry go to get their most useful and actionable insider knowledge direct from some of the worlds leading medical device experts and companies. Jon Speer: Hello, and I'm excited for you today because you get a little bit of a treat on The Global Medical Device podcast. My guest is Mike Drues. Yeah, you've probably listened to Mike and I chat about a few things. Regulatory Design and Development Quality religions in the past, and today certainly is no exception. But today we give you a little bit of a of a preview, a sneak peak, so to speak, of topics that Mike and I will be talking about Live at MDNM East here in a few weeks in New York. So that MDNM east event is June 13th through the 15th and Mike and I are speaking as part of the design control track on June the 14th. So today, Mike and I talk a little bit about when design input requirements go wrong and then we also dive a little bit into the topic of design your labeling like you design your device. So I hope you enjoy this episode of The Global Medical Device podcast. 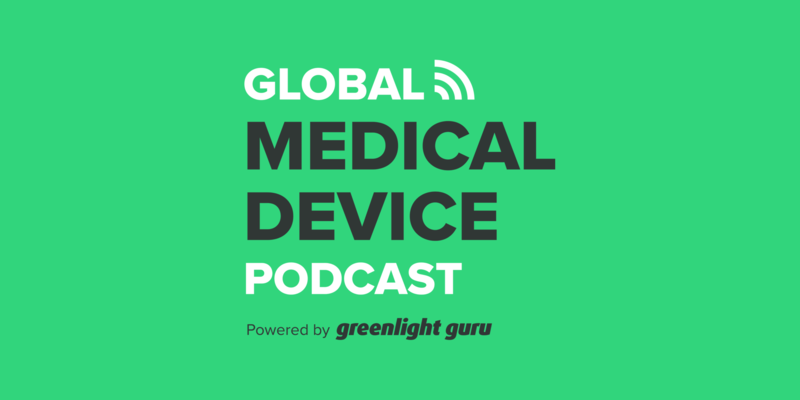 Jon Speer: Hello and welcome to the Global Medical Device podcast, this is your host, the founder and VP of Quality and Regulatory at Greenlight.guru, Jon Speer. I'm excited today for a couple of reasons. First reason is my good friend, Mike Drues is joining me on The Global Medical Device podcast. You know Mike from previous episodes, Mike is the president of Vascular Sciences and, man, he is world-renowned expert on a lot of things regulatory related for medical device companies. Welcome Mike. Mike Drues: Thank you, Jon. Always a pleasure to be with you and your audience. Jon Speer: Alright, and the second reason I'm excited is Mike and I are gonna talk today about one of my favorite topics. And for those of you that know me just a little bit, you probably have picked up that one of my favorite topics revolves around design controls. What is all that about? And the good news, the exciting news for those of you listening, here in a few weeks, you can have an opportunity to hear both Mike Drues and myself talk about design controls along with a number of other great folks, experts in this space, at the upcoming MDNM event in June 13th to the 15th and both Mike and I are gonna be talking about various topics on June the 14th. So you wanna check that out. In fact, Mike, I thought it might be a good idea if we gave the listeners a bit of a teaser of some of the things we're gonna talk about in June. Mike Drues: I think that's a great idea, Jon. And to start out, one of the things that you're gonna be talking about is the importance of design inputs. Mike Drues: So, for those in the audience that are not familiar, maybe you can give us all a quick primer on what design inputs are and why they're important. Jon Speer: Absolutely. If design controls is a topic that I enjoy, getting into the details of design input requirements is one of those passions that I have, because design inputs, it is a part of the design control process but in my opinion, getting your design inputs correct sets the stage for everything that you do in the entire design and development process. And if... Let's say it another way, if you don't do a good job defining your design inputs, your product development efforts are gonna be problematic. You're probably gonna reach delays, you're probably going to have to redo some things. Honestly, it's probably gonna mean that your project is gonna take longer than you had hoped. So think of design inputs as the requirements, the things that your product must do. Think about performance criteria and things of that nature. So, it's really describing, and like I said, just the requirements of your device. Mike Drues: Well, that's a great start, Jon. And from your vast experience, where do design input requirements typically come from? Mike Drues: That's a very interesting response, Jon, you certainly ticked off a lot of the very important functional areas that we should certainly consider. But interestingly enough, you left off what I think was the most obvious and what some people might say the most important. I'm not sure if you did it on purpose, or perhaps just by accident but do you know which one I'm referring to? Mike Drues: There you go, the clinician. What it is that we're trying to solve here. And the reason why I bring that up, Jon, is because in my experience, and I would love to hear you chime in on this, I'm not sure if you're gonna get to this level in your MDNM presentation or not, but typically the initial design input comes from the clinician. In the medical device industry a physician will usually say, "This is a pretty good device, but if you make it a little longer, a little shorter, a little fatter, a little thinner, I can use it to do something else." But the underlying assumption there is that the physician or clinician or surgeon or nurse or whoever is your end user actually knows what it is that they need. And in my 25 years of playing this game, I've learned not to make that assumption because they often think they know what they need. But they don't necessarily know what they really need. And I have a litany of examples. But I'm just curious what your thoughts are on that, Jon. Jon Speer: Well, I definitely agree and have dealt with that scenario quite a bit as well. And I hearken back to one of the first few projects that I worked on. And physicians and clinicians they're very good, especially those who are inventive in nature and problem solvers by nature. And I remember one of the first projects I worked on, a doctor gave me a prototype, something that he had cobbled together or hacked together through different parts and pieces and components that he had at his disposal. And so he built this prototype to solve this problem and I just took what he provided me at face value, I didn't... This is a mistake folks, don't hear this as a best practice. This is something that I learned the hard way but I took that prototype and I just decided, "Oh well, I'm a smart engineer I can define all the technical requirements and criteria behind this." And so I went and defined all these requirements, all these design inputs and put my head down and built some, iterated and built some additional prototypes, and then at some point in time in the process later, much, much later in the process, I came back to the physician. And let's just say I missed the mark 'cause I didn't keep the end user, that physician in mind the whole time. I just basically tried to regurgitate what I thought he had given me at the beginning of the project and I really didn't understand what that was all about, what he was trying to communicate. Mike Drues: Well, that's a great example, Jon, a terrific lesson to be learned for the audience. Let me also share one from my experience, one of the adages that I frequently share and I'm sure I've said this in our discussions before is that answers are only as good as the questions that we ask. Mike Drues: So, in other words, "What good is getting the right answer, if we're asking the wrong question", or put in a slightly more engineering vernacular, problem, I'm sorry. Solutions are only as good as the problems that we define. So once again, what good is getting the right solution if we're solving the wrong problem. Unfortunately this happens in medicine a lot. And in my opinion as you and I have talked about before Jon, this is something that's really not addressed in the regulation or in the design controls quite frankly at all. And here's a quick example. So, it's one thing for a cardiologist to say, "This is a pretty good stent, but if you make it a little bit bigger, a little bit smaller, I can use it to do something else". It's quite another thing for a cardiologist to say, "This is a pretty good stent, but if you take a gene that can turn off hyperplasia and put that inside of a virus and put that on the surface of a stent. Now I can use that to do something really different". And this gets into the difference between evolutionary versus revolutionary product development, and a whole bunch of other things. But that, in my opinion, is something that we really don't do as good of a job on as we probably could when it comes to defining our design input requirements. Mike Drues: All of the things that you mentioned earlier, in terms of manufacturing and marketing, and regulatory and so on, those are all very important. There's no question about it, but those are important from a pragmatic sense. But they are really not important from a, let me say a biological or a medical sense, does that make sense? Jon Speer: It does, yeah. And I think that's where... The important thing from a design input perspective is this, and you can't just jump into and start defining the requirements or the design inputs of your product unless you first understand the problem, the clinical problem that is trying to be addressed. To say it in another way, you need to have an understanding of how this product is intended to be used. What are the indications ultimately that you hope to be able to claim about your product? What are the needs of that end user? And once you have a grasp or an understanding of the problem that's trying to be solved, then and only then, can you do a thorough job of defining requirements. But don't just take it... Yeah, don't just take it at face value, you don't just say, "Well we're done with the user needs, now let's move on". You may have to revisit that from time to time with the user group. Mike Drues: 100% in agreement with you Jon. And what you alluded to at the end was the last thing that I was gonna mention. And that is unfortunately many things in regulatory and quality today, including design controls have become nothing more than tick boxes on a form and, have we defined our design input requirements? Tick. Have we achieved them? Tick. Well, in my opinion, anybody that approaches this in that tick box on a form mentality really... Maybe this might sound a bit harsh to some people, but they really shouldn't be playing this game. Jon Speer: No, I totally agree. And this is... If you're just checking boxes, then you're in the wrong business. Everything that you do during the course of design and development and manufacturing of your product, there should be intention behind it. There should be a purpose. If you just feel like you're filling out the form because your procedure says so or because the FDA requires it, then you kinda miss the point. Mike Drues: Agreed, and listen, I don't wanna steal all your thunder Jon. We certainly want the audience to come to your presentation in New York next month, but any final thoughts that you wanna leave the audience on the design input requirements? Jon Speer: Yeah, let me just leave with one kinda parting thought on design inputs. I stress the importance of being holistic and building on the needs of the end user for just finding your design inputs. The other thing I want you to think about when you're capturing and defining your design input requirements, I want you to think into the future a little bit, and specifically I want you to think about verification, design verification and maybe a little bit of design validation, but I want you to think about how are you gonna prove this. And this is where a lot of people make mistakes, is if you can grasp the holistic nature, you can grasp the user needs and establish a pretty thorough list of design input requirements, but you also need to think about how you're going to prove, and how you're going to demonstrate this with clear objective evidence. And sometimes people forget about that, and then they get to the point, a few months down the road, where they're going through verification and validation and they realize, "Oh crap, I can't verify this. I have to do extra special tests that I didn't even think about because of the way I captured my requirements." So just keep that in mind, think about how you're gonna verify as you're defining your design inputs. Mike Drues: Well, I love that message Jon, of thinking to the future, and it's interesting because coming from a quality perspective as you do, thinking to the future certainly makes sense in terms of verification and validation testing and that type of thing. But to me primarily as a regulatory guy, thinking to the future means label expansions. Mike Drues: And there are a whole bunch of things that we can be thinking about in terms of design and testing methodologies for our current product that will help us tremendously, that will mitigate our workload tremendously, our regulatory burden tremendously for the future. But perhaps that would be a topic of a different discussion. Jon Speer: Well, perhaps, but we can also segue a bit and dive into a primer on your topic that you're speaking on at MDNM because if I recall you're speaking a little bit about the importance of labeling and how labeling should be considered just as you would design the actual physical device. Mike Drues: Well that's exactly right, Jon. I'm gonna be doing a presentation also in New York on Wednesday, June 14th called design your label like you design your device. And to me, Jon, as an engineer as most of your audience knows by now, my background is in biomedical engineering. To me design is design. And so whether I'm designing a physical widget, like a medical device or a clinical trial or a test methodology, or product labeling, it doesn't make any difference. Philosophically, design is design. And one of the things I find interesting after my two and a half decades of working in this business is that companies and engineers spend a lot of time, obviously, designing their physical widget, but they really don't spend very much time designing their labeling. And again, I could give you lots of examples but I'll give you just one. I was in California not long ago working with a, one of the small medical device companies that I work with, they have a medical device that they're in the process of designing and developing, and at the same time they're designing it, they asked me to design four or five high level labeling statements indication for use and intended use statements all describing exactly the same device. Mike Drues: And what I did was, I presented a regulatory risk assessment and a regulatory burden assessment of each one. In other words, if you say this about your device, this is what you're gonna have to do in terms of testing, this is what is gonna be your regulatory pathway, wellness product, 510(k) De Novo, what have you. This is your probability of successfully selling this at the FDA. As opposed to if you say something else about exactly the same device, then this is the testing that you're gonna have to do, this is the pathway that you're gonna have to take, this is the probability that you're gonna be successful in selling at FDA. And I presented all of those different options to the senior management of the company and we had a discussion as to what the company wanted to say about their new device. But taking this just one step further, Jon, we didn't look at it just from a regulatory perspective, we also brought in reimbursement in product liability and other areas as well. Mike Drues: Because one of the things that I've learned in doing this is that oftentimes what you want to say from a regulatory perspective may be diametrically opposed, maybe a 180 degrees out of sync from what you wanna say from a reimbursement perspective, or a product liability perspective. And I guarantee that one company who's working on one device may decide to say one thing, whereas another company working on a very, very similar device may decide to say something else. Mike Drues: So this is a powerful thing that I think a lot of companies don't take advantage of. In part, I think the reason why they don't take advantage of it is because so many medical devices are brought onto the market as a 510(k) and using the 510(k) as an option, you're very, very limited in terms of how creative, shall we say, you can be when it comes to the labeling. You're pretty much... I don't wanna say you're locked into what the guys said before you, but you have to use something pretty close to that, but if you're willing to consider for example, other pathways to market like the De Novo, the De Novo gives you a blank slate, a blank canvas when it comes to labeling and you can paint onto that anything that you want. Jon Speer: No, that's a... It's important and I like the title of this particular session that you doing, 'Design your labeling, like you design your device', and it really dovetails really nicely with our conversation a few minutes ago around design input requirements. Thinking about it another way, and I've seen it happen many, many, many times where the engineers get very focused on the design and the requirements of the actual widget or the actual physical device but they forget about the labeling, they forget about the packaging, they forget about those other parts and components that are maybe a little less tangible or something that's not as important, but what goes on that label, and labeling folks includes things like the label that's on the physical package, but it also includes your instructions for use. So your operators manual, it also includes the information that you're gonna have on your website or marketing literature and anything that's basically gonna talk about that product that... It's important to consider the information that's on that label and so it really becomes something that you should be capturing as part of your design input requirements as well. Mike Drues: Exactly Jon. And taking that a step further, it's not just what you say in all of those different forms of labeling that you just mentioned, it's also how you say it, or what you imply. Because another thing that I'm gonna be getting into in my presentation in New York next month is how do you say one thing and mean something else. In the regulatory world, one of the mantras that I've adopted is, it's not what you say that matters, it's what people hear. It's not what you say, it's what people hear. And so, this gets into the very nebulous and I think very fascinating area of how do you advertise off label use? So many people think that you cannot advertise off label use. The simple reality is it's not true. FDA has put out now three guidances, and there's a fourth one that was supposed to be put out about two months from now, but it's on hold because of the new administration, but they have put out three guidances specifically telling people how to advertise the off label use of their product. What it really comes down to is, how do you define the word advertise? Now, I don't have time to get into the details of that here. Obviously, for people that are interested, you can come to our presentations in New York, but I will say this, please don't misunderstand what I'm saying here. Mike Drues: Don't go back to your companies and say, "Oh I listened to this whack-a-doodle Drues guy and he said that we can advertise the off label use of our medical device". That's not what I'm saying, I'm saying you can do it, but if you're gonna do it, you have to be very, very careful. You have to know quite frankly what the heck you're doing, and you have to be working with somebody that really knows what they're doing and how to do it correctly because if you don't... And unfortunately, some companies do screw this up. You might find yourself not simply dealing with the FDA, but with the FBI. And let me tell you, if you think the FDA is tough, the Department of Justice, those folks don't mess around. So it can definitely be done. And now with the area of wellness products, you can bring devices onto the market without getting any involvement with FDA whatsoever, unto the category of what's called a wellness product, or what I call the wellness exemption and then use the same device with some beefed up labeling to go back to the FDA later with a 510(k) or a De Novo or something like that. Mike Drues: As a matter of fact, I have a couple of devices that I'm working on right now where we have two different versions of the same device. One is a wellness device which doesn't have any involvement with the FDA, and the other is either of 510(k) or a De Novo which does, but when I say two different versions of the device Jon, the actual device, the physical device, the design, the materials that were used that's all exactly the same, the only thing that's different, the only thing that's different is the labeling, what we say about it. In one case, it's a wellness product, and in another case, it's a regulated device. Jon Speer: Well, I think... And that's important. And it's important to understand for those listening the distinction here, even though the product is the same, it has two different indications for use, two different applications, and that's important to understand as part of your design process, especially as you're defining those requirements. Because Mike, I can imagine that there might be slightly different testing or a slightly different verification activities that might be required for each of those different indications. Am I correct about that? Mike Drues: Yes, you're absolutely correct Jon, and I'll give you a quick example as we start to wrap this up. I don't know about in your world Jon. But in my world, I have a lot of people who come to me, who tell me that their absolutely most important design input requirement is to get this device on the market as quickly and easily as cheaply as they can. Mike Drues: Where in the regulation does that one go Jon? Jon Speer: I haven't found it yet, so let me think where I should look. Mike Drues: But on a serious note, by designing your labeling, by considering other regulatory options like the wellness exemption, by, as Jon talked about earlier, carefully considering and defining your design input requirements from all of those different functional areas that you Jon, that you listed off, you will certainly minimize the time and effort and money to get your device on the market, and perhaps equally if not more important, mitigate the risk of screwing something up or making a mistake as I often see people do and having to back up and do something over again. Unfortunately that happens time and time again. Jon Speer: Yeah, I wish I had different experiences. But you're right, Mike, you're spot on. So Mike, any parting words before we wrap up this session today? Mike Drues: No, I think that, based on our conversation today Jon, I think both of our presentations have a lot of meat on the bone and I think it will be well worth your audience, especially for those that are gonna be in New York anyway for the show, please stop by. And by the way, on a personal note Jon, I'm very flattered and I wanna thank you and also the people in your audience, because as you know, I do a lot of presentations at different conferences and so and I just did one a few weeks ago, and I had several people come up to me and said they're a regular listener of your podcast. Mike Drues: So the word is getting out and so I thank you for that. I'm thankful somebody's listening. Jon Speer: Oh, you're welcome, Mike. And maybe you should bring some glossies and we can have an autograph signing session. Mike Drues: I'm not sure about that Jon. My son says that I have a face for radio. Jon Speer: Well, in all seriousness folks, Mike Drues and I will be at MDNM East June 13th through to the 15th. Actually, both Mike and I speak on the same day. We're both part of the design control track. I'm talking about when design input requirements go wrong on Wednesday, June 14th. That session's at 9:10 AM Eastern time. And Mike is also in that same track talking about design your labeling like you design your device. And then that's also Wednesday, June 14th, and I believe that's scheduled for 11:15 AM Eastern time as well. So come see the show, talk to Mike and I. We'd love to hear your thoughts, your ideas, and appreciate you all listening to the Global Medical Device podcast. Before I wrap things up today, let me talk a little bit about greenlight.guru. I'm sure many of you have probably consumed content that is available on our website, the webinars, and as Mike mentioned, listened to previous episodes of this podcast. 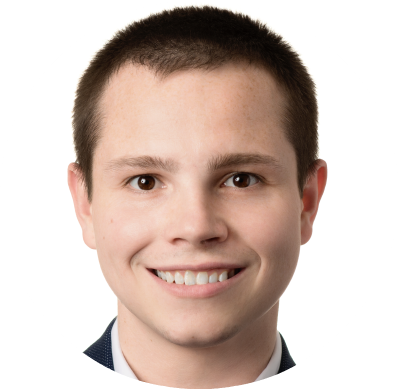 Jon Speer: But you should also know that we have a software platform that is designed specifically and only for the medical device industry to address quality management system needs. And if your favorite thing is design controls like mine, we've got workflows that are built into the platform to make that process pretty easy. That also happened to integrate with ISO 14971 risk management workflow. So, if you wanna learn a little bit more about our platform be sure to go to greenlight.guru, click on the button to request more information and somebody from our team will be thrilled to talk to you about what you need or what you're looking for and if we might be able to help you. So Mike, once again, thank you for joining me and look forward to seeing you here in a few weeks. Mike Drues: Thank you, Jon. Always a pleasure. Jon Speer: Alright. And this has been your host, the founder, the VP of Quality and Regulatory, Jon Speer with Greenlight Guru and you have been listening to the Global Medical Device podcast.